What should our future education be aiming for? Massification of education or personalization of learning? In this paper on Instructional Theory by Reigeluth C. (2012), he highlights the need of having more personalized approach towards learning, through a post-industralist instructional approach, where learner becomes the centre for learning. In this Mastery Learning and this paper on Mastery Learning, there are benefits of adopting its philosophy in MOOCs. That’s also the central pedagogy adopted by most xMOOCs providers. As I have shared in my previous post, students may master what is expected to be learnt if all teachers are teaching solely to the test. However, it seems that many people might have mis-understood the initial intention of Mastery Learning, where the intention is NOT to ask the teacher to teach only those concepts for the sake of assessment or testing, but to allow the learners to master their learning at their own pace, in a progressive manner with immediate feedback in order to reinforce their understanding of concepts, and to correct any mis-understood concepts where possible. Besides, Mastery Learning could be effectively employed in a mentoring and apprenticeship program where the mentor could guide the mentee through the program. This massification of online education appears to go in an opposite direction to personalization that elearning and use of ICT in education should aim for the purpose of providing more effective individualized learning experiences to learners. How to progress from massification to personalization of online education? I have shared that here. Giving students the correct answers strict away may sound a good instructional approach towards teaching. However, have the students learnt how to arrive to those calculations? Have the students mastered the concepts CORRECTLY? How do we know if the students could apply their skills and transfer them from one area to another, in solving problems? With the vast amount of data gathered through learners, personalization will become possible eventually with proper learning analytics and data mining. Furthermore, quality of learning outcomes may be further assured with the evidence of learning. Are Assumptions part of the MOOC story? I reckon people have been making lots of assumptions about MOOCs since their inception, based on Assumptions Theory. Are people assuming a linear or complex pathways towards privatization or monetization with xMOOCs? There has been some evidences showing that MOOCs movement is based on Complexity Theory and so its trajectory is non-linear, and is therefore complex, due mainly due to the interaction of the agents and changes in the environment. At the early stage of MOOCs, the MOOC providers promised to keep MOOCs open and free, thus getting the name of MASSIVE OPEN ONLINE COURSE. I don’t see many people could have predicted the outcomes of MOOCs nowadays, except a few people, like Clay Christensen, Dave Cormier, Stephen Downes and George Siemens. What are the Assumptions and challenges of MOOCs? Assumption 1: When MOOCs are free of charge, people would love to try in order to experience the often highly appraised elite Higher Education Courses offered by Institutions. I reckon this is most likely true, especially for those who couldn’t afford paying tuition for Higher Education courses, especially in developing countries, or those who couldn’t attend Higher Education Institutions in persons, due to geographical reasons. Are MOOCs freebies? MOOCs are now becoming the favorite off-springs of FREEBIES of elite Institutions. It would continue to attract non-fees paying students all over the world. Would these “global” students be looking for more MOOCs which are free? I think this would likely be true. What would happen if MOOCs are not free of charge any more? What percentage of students are willing to pay, and what percentage of students are not willing to pay, if MOOCs are charged? What would happen if learners realize that they are now more interested in the qualifications, rather than the education in MOOCs? What percentage of students are just interested in qualifications? What percentage of students are not interested in qualifications? What would happen if professors are urging for a better pay or remuneration as a result of hundreds of thousands of students enrolled into their MOOCs? What percentage of professors are willing to teach extra students “free of charge”? What percentage of professors are not willing to teach extra students “free of charge”? What would happen if MOOCs are now closed, and become Massive Online Course only? What percentage of students would stay with a closed course MOC? What percentage of students would leave the closed course MOC? To what extent would this pattern of free MOOCing be sustainable? Is this massive version of online education going to invert the tradition of higher education? There are no precedence relating to such huge education movement. Assumption 2: MOOCs attract students as the MOOC providers carry the big “brand” together with the “super-professors”. I reckon this assumption is very true, especially when nearly everyone said that this is true. Most learners would prefer to learn with the prestigious institutions and famous and super-rock star professors. Assumption 3: MOOCs’ success is evaluated based on number of students enrolled into the course, and may be the number of students who successfully completed the course. Here is a discussion panel on MOOCs. Sounds like that every one is excited about MOOCs, as there have been huge success in the enrollment of massive students into the courses. More students mean the possibility of getting a higher market share of the global education market, and likely more revenue generated with the potential students, especially if some of these students could join the mainstream degree or diploma course and pay the tuition fees based on their MOOCs’ completion or transfer. The present MOOCs are now entering into the era where QUALITY and VALUE seems to be based on the number of student enrollments in the courses. MOOC is now the CENTRAL ECONOMICS OF EDUCATION – DISRUPTING the Higher Education to its fullest extent. Here efficiency and effectiveness of education has finally been drawn based on this CALL CARD – MOOC to revolutionize Higher Education. You got to love free Higher Education! But there is a price to pay. MOOC and you’re out of a job: Uni business model in danger. Assumption 5: MOOCs are successful because they are based on flipped class and an instructivist/behavioral approach in education. Should Education based on MOOC be Teacher or Learner and Learning Centered? The need for course re-design The use of these tools need to be driven by the learning objectives. Indeed these tools enable us to achieve different learning objectives from more traditional modes of teaching, with a particular emphasis on intellectual skills development. Tony outlines the need of advanced course design built around core skill and knowledge management, open content, online project, peer review and discussion and assessment by e-portfolio. I agreed with the need to restructure course towards a student-centered approach where students could take an active part in the learning process, like choosing content and working on project either individually or cooperatively with others in order to achieve goals. Indeed the use of e-portfolios as evidence of learning have been adopted by lots of professional institutions as a basis for certification and admission for professional membership. e-portfolio is also part of the personal knowledge management strategy where the student develops and reflects on his/her learning. Assumption 6: MOOCs must be based on prescriptive learning outcomes, and prescriptive knowledge and learning methodology. Should Learning Objectives be prescriptive or emergent? In a formal education framework, since most learning objectives are prescriptive in nature, students would likely be guided towards the achievement of those objectives through structured activities as designed in the course. A traditional approach is for the students to listen to the lectures, follow what have been taught, and complete the assignments to demonstrate competency for the prescribed course. Even the present xMOOCs are following such an approach where students are expected to remember, understand and apply what the professor has explained in the video lectures, and to pass the quizzes, assignments, examinations set up for the course. Students are not expected to generate multimedia content, as that is not what the course is based upon, and could hardly be assessed if there is a huge crowd of students of tens of thousands. Assumption 7: MOOCs are still the “ruling master” in education, as standardized goals, curricular, and standardized tests, quizzes and examinations remain supreme in Higher Education. What are the challenges associated with the educational use of the Web, Social Networking, and Media based on MOOCs (even for xMOOCs)? Khan makes a convincing case that universities are no longer the only place where legitimate learning takes place; we should put learning from all sources on equal footing and assess it through an independent approach – competency-based assessments. In addition, those options must include affordable, accessible, timely and relevant learning opportunities that will meet the needs of students and employers. Indeed, it is the lack of such options that is driving the advent of massive open online courses (MOOCs) and other open and affordable online learning alternatives. One method may be the Mozilla-hosted secure “backpack” to hold badges from universities and other sources. Assumption 8: Prior Learning Assessment and credit transfer based on MOOCs would be supported by Institution soon. Would prior learning assessment be a solution in lowering the cost in degree education in Higher Education? The critical questions relate to whether prior learning assessment would become a way to recognize learners’ learning formally, based on the evidences submitted for assessment. I think there are merits with the use of prior learning assessment as a measure of learning. How about the emergent knowledge and learning that are now critical success to business and education? The current move towards MOOCs show exactly why the canonical knowledge is not sufficient to “survive” in the education industry. Assumption 9: Credit Transfer of MOOC is a challenge and issue for Higher Institutions. This seems also a critical moment for many institutions as they are still hesitant to introduce credit transfer for MOOC learners, mainly because of the doubts about the “quality” of the courses based on peer assessments, which are still not fully recognized as being fair and reliable, and the possibility of students “cheating” and “plagiarising” in MOOCS. Besides, if the learners are to exchange their answers to the assignments, questions of the quizzes, examinations of MOOCs, would that be a concern for Education Authority or Institutions? Students could also enroll into xMOOCs using a variety of identities, so as to attempt the quizzes, examinations, and assignments with multiple try. To what extent have these happened? Are there any statistics revealing such phenomena? If MOOCs unit completion are accepted for credit transfer, would this become an issue? 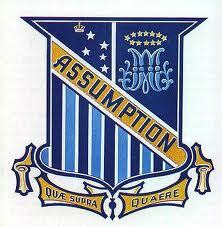 Assumption 10: xMOOCs could exist mainly as disruptive technology, not sustainable technology. If xMOOCs are to be sustainable, then they would need to change its paradigm towards a connectivist or social constructivist approach in order to overcome the tsunami and turbulence that MOOCs have created to “overturn” or disrupt the traditions of Higher Education. What is that Theory of Everything? Here is my response to Jaap in my previous post. 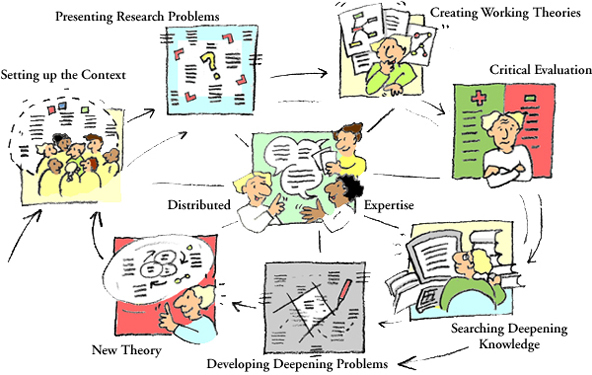 A learning theory is a modelling of the learning, and in the case of Connectivism – Networked learning which focuses on learning as making connections. This is based on the epistemology of Connectionism, Complexity Theory, Self-Organising Theory, and the Theory of Emergence. “Connectivism is the integration of principles explored by chaos, network, and complexity and self-organization theories” (Siemens, 2004). As George has once mentioned, thinking and looking at the networks as a whole may not be helpful, but thinking of individual connections in order to explain why and how learning has occurred may be easier for us to understand – and that learning starts and develops with connections – where knowledge grows, with different sorts of learning such as connective, emergent learning. To this end, sense-making and way finding would be the valuable tools while constructing and navigating networks. Stephen’s emphasis on pattern recognition, with growth of knowledge based on connections of entities does provide a holistic model that embodies every scenarios in learning, with diversity, autonomy, openness and connectivity being the properties of such networks. Learning to me could both be natural and artificially constructed and conceived, depending on what sort of frame of reference (model) or framework, system you use. A shift of reference framework could reveal a different model. In the past, we might have fixated on one model, and not aware of the existence of different models which are equally valuable in mapping into the reality. Following a wise man or woman could be wise. Everyone has however our wisdom – that maps our model of the world, based on experience and knowledge. As a Catholic, I still believe the wisdom comes from our God, Jesus Christ our Lord, who is the wisest.